Staying with the hair theme, this week’s must have product comes courtesy of Phyto. 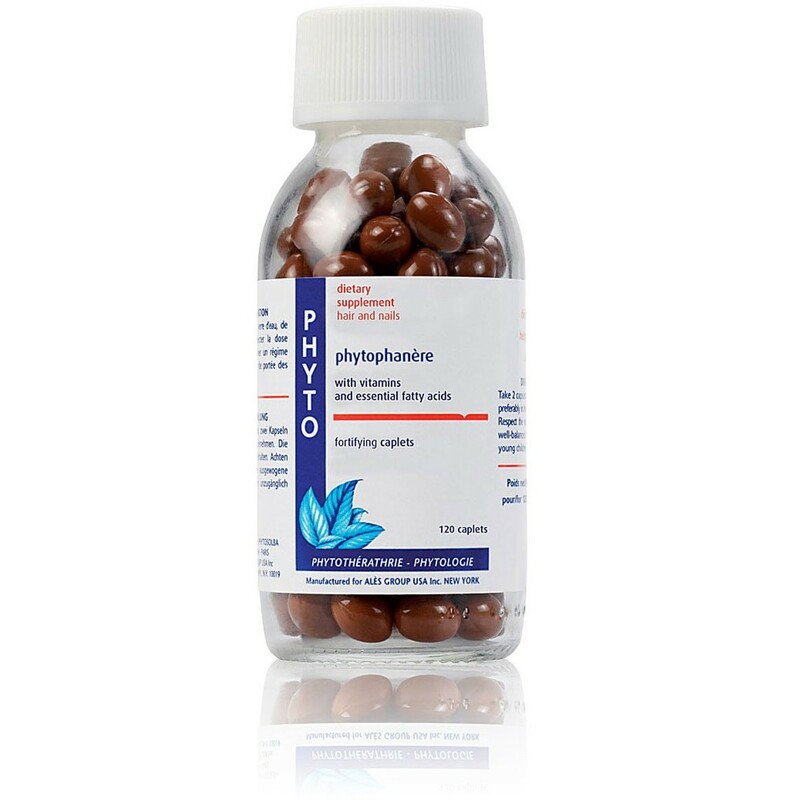 Phyto Phytophanere Supplements are dietary supplements that contain a plethora of the good stuff for long, strong, and healthy hair and nails. I’m not the type to stay loyal to a specific vitamin routine – in fact, eating daily greens is actually a New Year’s resolution por moi – but when it comes to my hair – and fear of it thinning or seeming lifeless, I’m down to try anything. Back in 2008, I posted on the vitamins but sadly, didn’t take my own advice to religiously swallow each day. Cut to 2013, and I’m five years older (eeks). My hair is feeling the age too. It’s no longer as volumous as it once was. My long, thick mane seems to have lost its zest. Gone are the days of ultra shiny strands, welcome the mornings of shedding (yes, my hair sheds like a dog!) and limp locks. I started the Phytophanere Supplements about a month ago and I kid you not, I already see a difference. My nails are strong and long, my hair, less brittle. While Phyto suggests taking two capsules a day for two months to see best results, I’m already digging the resurgence of shine. Combine these supplements with my must-have dry hair helpers and I may just get through winter alive and moisturized.